Recipients won’t hesitate to display this customized clock pen holder. Designed with sleek bronze color to give your desk a unique look. 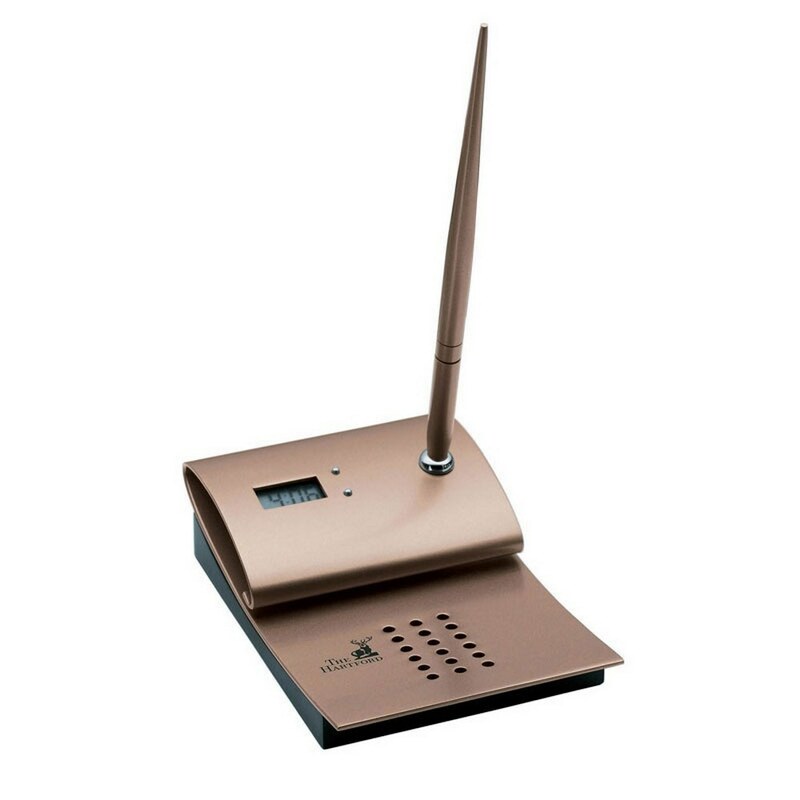 This Magnifique Series Digital Clock and Pen Stand features Stylistic elements include a sleek bronze plastic body and curved bottom. Great time-honored gift for retirement parties, employee appreciation awards and holiday contributions. This Clock includes a pen with stand. You can easily insert your brand details to create customized giveaways for promotional events.